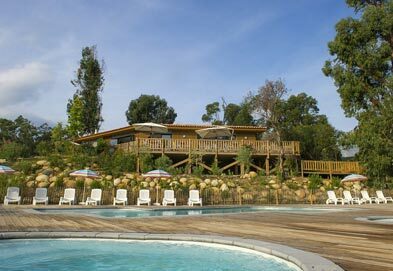 The 1 holiday lodges and log cabins available in Corsica are well suited for a range of holidays. The self catering lodge holidays are available to book online. The larger lodges or log cabins can be perfect for groups or large family getaways. Whereas the smaller more intimate lodges are perfect for couples wanting a little respite from the day to day stesses. The holiday lodges in Corsica are ideally placed depending on your requirements, the specification of these luxury lodges will provide a perfect comfortable base for any holiday in Corsica.